The Theseus Ensemble and Geoffrey Paterson continue to further their commitment both to perform challenging new music and to provide new ways for audiences to approach it, first and foremost amongst which are Paterson’s excellent spoken introductions with musical examples. Alexander Goehr’s Lyric Pieces were therefore introduced with brief comparisons between two of Schumann’s Davidsbündlertänze and two passages from Goehr’s work, which is to a certain extent built upon structures and gestures to be found in its predecessor: nothing laboured, nor indeed forbiddingly technical, but a way in for listeners who may conceivably have fretted about what to expect. Derivation and transformation, in these particular cases from the eighth and ninth Schumann pieces (both Florestan), were presented with admirable clarity, as indeed was the performance as a whole, which benefited equally from purposive command of line. Particularly striking was the echt-Romantic horn melody of the second of the six pieces, ‘Sostenuto, ma non troppo lento’, which, when joined by muted trumpet proved suggestive both in sonority and progress of Webern’s transcription from the Musical Offering (Bach’s masterpiece another Goehr favourite, perhaps far from incidentally). Trombone added an almost chorale-like impression, again furthering the sense not only of refracted Bach but Bach refracted via a refraction of German Romanticism. Stravinskian coolness from the ensemble’s woodwind offered a welcome counterpoint, in more than one sense. A sense of processional was doubtless furthered by timbral similarities with Varèse’s Octandre (the scoring is identical) and, inescapably, Symphonies of Wind Instruments. By contrast but also by connection, the liveliness of the third piece, both as work and performance, put me in mind of a more Germanic Pulcinella. The near-hypnotic repetitions of the fifth piece – already contextualised by that piano excerpt from the sixth Schumann piece – were heightened by intensification, again both in work and performance; this is no mere repetition, as Paterson’s keen rhythmic sense made clear. Indeed, there was a true spirit of the dance, both delightful and threatening. Echoes of the boisterous good spirits of Schoenberg’s First Chamber Symphony, surely a contender for the most life-affirming work of the twentieth century, were to be heard in the closing ‘Scherzando’, also possessed of an eloquent, wonderfully grainy bassoon soliloquy from Rosie Burton. Paterson’s introduction to Elliott Carter’s Triple Duo presented the arresting image of a cocktail party, at which conversations between three pairs of people, more or less independent of each other and yet with some knowledge of and some reaction to the other conversations, finally closing with a conversation involving all six. Spatial separation between the three pairs heightened that way in for the listener; Carter may or may not approve, but there will always be other performances that do not adopt the experiment. It certainly offered clarity as well as visualisation for the first-time listener, so that the different varieties of ‘conversation’ – in rhythmic terms, triplets for flute and clarinet, twos and fours for violin and cello, slightly more elliptical groups of five for piano and percussion – might be more readily identified than would otherwise necessarily be the case. That in turn enabled one’s ear to devote a little more attention to the crucial intervallic characteristics of the different ‘conversations’ and eventually to the nature and implications of their combination. Again rhythmic exactitude proved fundamental to the success of the performance, permitting one to delight in the almost Haydnesque sense of invention Carter typically brings to his material. Perhaps surprising is the frankly lyrical quality of some of his writing, heightened again in performance. It was excellent to observe so good-sized an audience for this Linbury lunchtime recital. Alas, it was considerably less than excellent to have to endure a number of persistently distracting noises-off – moaning, groaning, sometimes even shouting – from someone above. Whatever the reasons, and it may well have been that someone was ill, action should have been taken earlier by someone responsible. It was a pity, but ultimately music and performance won through. It was inevitable that the shadow of Pierre Boulez would fall at least a little over this concert, the first of two from which he had to withdraw owing to ill health. Nevertheless, Péter Eötvös, who has taken over two demanding and highly individual programmes without alteration, made them his own to a remarkable extent; or, to put it another way, so as not to suggest self-aggrandisement, he ensured that the listener’s attention was focused upon the music rather than the performers. One of the many aspects of Boulez’s genius has been that for revealing programming, and so it was here, even in absentia. I should therefore dissent from Kathryn McDowell’s description in the programme booklet of the concert as an ‘eclectic 20th-century programme,’ quite apart from the dating of Debussy’s Nocturnes, completed in 1899. One would perhaps have to return to the likes of Roger Désormière to find a conductor more strongly associated with the music of Debussy than Boulez, and though Eötvös’s performance had its virtues, it also had its slight disappointments. The direct approach adopted from the opening of ‘Nuages’ intrigued, the LSO woodwind almost Classical in character, but strings added mystery upon their entry, putting me in mind of Pelléas. Impressively, the string sound was recognisably ‘Gallic’; I could not help but think that even Désormière would have recognised it as such. Eötvös contributed a compelling sense of line, which, fused with his ear for detail, imparted an impressive sense of something that approaching (wordless) narrative. At times, I thought of Bartók’s ballet, The Wooden Prince, as well, of course, as Liszt’s Nuages gris, greatly admired by Debussy, and the composer’s own Prélude à l’après-midi d’un faune. ‘Fêtes’ was lively but often somewhat brash, rather as I imagine it might have done under Sir Georg Solti. (I know that he recorded Images, but I have not heard the results.) However, what the performance lacked in refinement, it partly made up in rhythmic certainty. ‘Sirènes’ was again direct in approach, and again benefited from an impressive sense of continuity. Despite a fine contribution from the ladies of the London Symphony Chorus, there have, however, been performances more seductively conceived. Christian Tetzlaff joined the orchestra for a triumphant performance of Szymanowski’s First Violin Concerto, as much the orchestra’s show as his, as was announced by the opening, teeming with life and exhibiting a veritable kaleidoscope of colour, answered by a sinuous, beguiling, and unquestionably seductive violin entry. The performance as a whole was highly dramatic, Eötvös and Teztlaff alike ensuring that there was never even the slightest hint that Szymanowski’s golden thread might snap. One felt enveloped, and gorgeously so, yet also in sure hands with respect to direction. The contrast with a recent performance of the composer’s Third Symphony from Vladimir Jurowski was in that respect pronounced. Szymanowski’s originality concerning form spoke for and created itself – clearly and evocatively. And what a glorious wash of sound the LSO could produce, contrasting with Teztlaff’s silver and gold, a contrast lying at the heart of a remarkable performance. Not that that should be taken to imply that Teztlaff’s performance lacked spellbinding and impassioned virtuosity, for it did not; however, the work sounded so much more than a ‘late Romantic’ concerto, if indeed, which I doubt, that soubriquet retains much validity at all. Quite why some of the violin concertos appearing with wearying frequency on concert programmes are preferred to this I truly cannot imagine. At any rate, this must surely have garnered both work and composer a new host of converts. Teztlaff treated the audience to an encore: the ‘Melodia’ from Bartok’s solo violin sonata. His command of line and expressive commitment, especially in terms of hushed intimacy, clearly drew in the audience, for, as Gareth Davies (@flutelicious), the LSO’s principal flautist, tweeted to me during the interval, this was a rendition miraculously free of coughing. Boulez clearly entertains a degree of ambivalence towards Scriabin; frankly, it would be a strange sort of person who did not. He has spoken of a general preference for the more exploratory piano music, yet has also recorded some of the orchestral works, The Poem of Ecstasy twice in fact. The virtues of our absent guest’s programming were revealed as the opening bars’ sonorities suggested a placing of our composer somewhere between Debussy and Szymanowski. Adam Walker’s excellent flute playing should definitely be accorded a mention, ranging ably from the languorous to the sprightly. Wagnerisms, especially Tristanisms, were attended to, whether in terms of highlighting kinship of material, or more importantly, in the expression of the frustration at inability to climax. (Tannhäuser is surely also an influence, or at least a precedent, here. Perhaps Strauss is too.) What unsympathetic listeners – and performances – might suggest to be mere bombast or indeed mere languor, was granted as true a sense of dramatic justification as one might hope for. Decadent it certainly was – how could it not be? – and so it was down to the last arabesque; yet, even if the music is less ‘progressive’ than some of Scriabin’s piano writing, and even if it is too much of a good, or more likely a bad, thing, I was more than happy to indulge. Should one have felt a little dirty at the end? Perhaps, but even Boulez cannot live by Webern alone. ENO’s peculiar decision not to stage any Wagner during its 2012-13 season, that is the season in which the greater part of Wagner’s bicentenary falls, is at least mitigated by a new production of The Flying Dutchman during this preceding season. There is much to enjoy musically, though there are a few problems too, but Jonathan Kent’s production fails to cohere. Whilst resemblances to Tim Albery’s dreary production across town for the Royal Opera are doubtless coincidental – though might it not reasonably be part of a stage director’s job to inform himself of what others in his position have done? – the factory setting of the second act, the increasingly odd, yet unrevealingly odd, costumes, and apparent unwillingness or inability to listen to Wagner’s score present an unfortunate kinship. Unlike Albery, Kent appears to have some ideas. The problem is more that they rarely seem properly thought through, and that they do not necessarily cohere with each other. Video now seems more or less obligatory for the Overture; it is very well done here, but is it really necessary to evoke storms visually when Wagner does pretty well for himself with the orchestra. 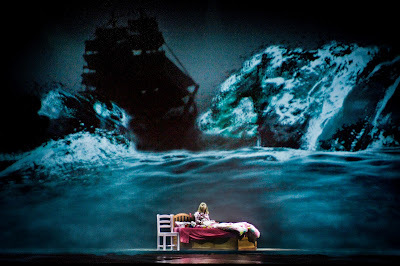 The curtain comes up a little way in, to present a little girl, a young Senta, one presumes, reading a book, referring to the Flying Dutchman, one presumes, whilst apparently being pushed aside by her busy father. (Weird lighting made the girl appear, at least from my seat, as if she were auditioning for The Black and White Minstrel Show. I wondered what on earth was going to happen, feeling quite filled with foreboding, until I realised that she had not after all blacked up.) The timing is unclear; sometimes we appear to be vaguely contemporary, at other points a few years back, though certainly not when Wagner sets his drama. It seems that Senta therefore imagines her Dutchman from her childhood fantasies; the problem here is that in no way is this as coherently presented as when Harry Kupfer in Bayreuth and Berlin unforgettably presented the drama as her dream. Is she dreaming the rest of the drama? It does not appear so. In which case, how is it that anyone else can see the Dutchman? Most do not – a ghost, perhaps? – but Daland certainly does. How, otherwise, can he treat with this strangely nineteenth-century apparition. A more Romantic, dangerous figure might make more sense; this Dutchman, however, dresses more like a character from Jane Austen. He stands out, but not necessarily in the right way; the concept either does not work or is not adhered to consistently. A potentially good idea is the viciousness of the other factory workers towards Senta. She clearly does not fit in; they mock her, make her miserable. She belongs somewhere else: Wagner would surely have agreed. This continues into the third act, but alas, an apparent wish to be ‘theatrical’ undermines what might truly have intrigued and provoked. Albery too had a tawdry vision of the crew’s celebrations. 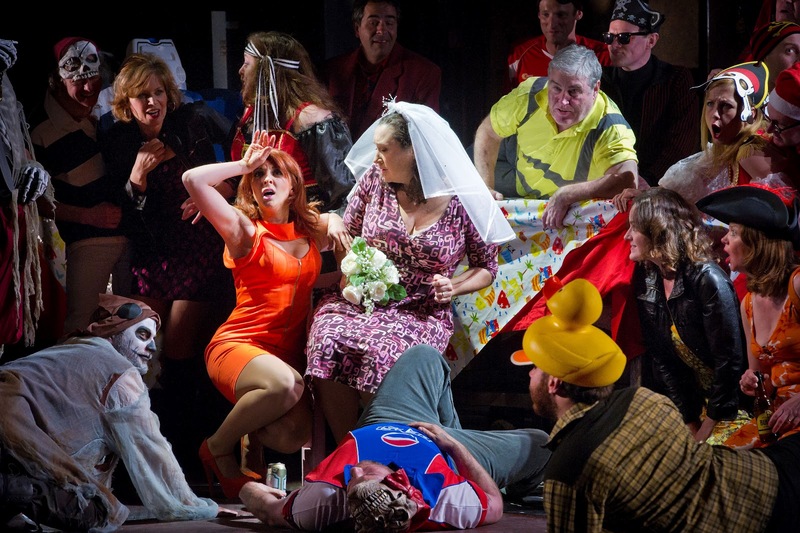 Having married – or imagined marrying – the Dutchman during the entr’acte, Senta now finds herself jeered at, molested, and seemingly worse (shades perhaps of David McVicar’s ‘Dance of the Seven Veils’, in which Salome’s childhood abuse is relived). The women of the community do not care; they aid and abet the events. Unfortunately, the presentation is so over the top that it becomes more ludicrous than threatening, more West End musical or perhaps television game show than serious music drama. (And The Flying Dutchman is nothing if it is not taken seriously.) Amongst the oddities we witness are a person dressed up as a parrot, lots of inflatable toys, some people with Santa Claus hats, at least one woman with a huge red hand, and a few supernumeraries whose principal function seems to be to look good when they take off their shirts. It all seems quite out of proportion to whatever we have seen before, and reeks of a desire for spectacle, of whatever sort. Not once did I have the impression that Kent was responding in any depth to the score; often he did not even respond to the words. The frankly silly dance movements flatly contradicted, yet not in an interesting way, Wagner’s writing. Senta is then rescued by the re-appearance of the Dutchman’s crew – unfortunately rendered in amplified, recorded form: a terrible mistake – but how and why, if, and I repeat if, they do not really exist? Has she merely imagined everything? In that case, it is difficult to take seriously any claims to societal critique, at least without further guidance or refinement. As for why a spotlight suddenly swung around the theatre and focused upon a seemingly random part of the Coliseum ceiling, I simply have not the faintest idea. My abiding impression of Kent’s production, then, was of an undergraduate with a few too many ideas, who would need to be taken aside, advised to deepen his acquaintance with the work over a few years, before returning to it and deciding more clearly how to pursue one or two of those ideas. The contrast with ENO’s most recent other Wagner, Nikolaus Lehnhoff’s ‘heap of broken images’ Parsifal, is stark. James Creswell made for the most part a commanding Dutchman; his care with the words, here sung in David Pountney’s translation, was noteworthy. Unfortunately, Orla Boylan seemed quite miscast as Senta. It is, I know, a very difficult role, but her often squally tone often turned downright hectoring; at times, it was almost impossible not to wince. Intonation deteriorated as the work progressed too. Thank goodness, then, for a typically detailed character portrayal from Clive Bayley, despite the silly dance he was forced to perform at the end of the second act, and for the undoubted star of proceedings, Stuart Skelton as Erik. His Romantic ardour led one to sympathise as often one does not, yet he ensured that one remained aware of the character’s limitations, of his modest existence, so as to avoid the danger of thinking Senta should have thrown in her lot with him after all. Skelton’s is a fine voice, of course, but he can act too – and certainly did. Though the voices could hardly be more different, I was reminded of a production I saw in Vienna, in which Klaus Florian Vogt – the first time I heard him – quite stole the show. Despite that misguided decision concerning the Dutchman’s crew, the choral singing was, a few rough edges aside, of very high quality: weighty and yet surprisingly incisive. Would that I could say the same concerning the production. For far more interesting stagings, turn on DVD either to Kupfer from Bayreuth or to Martin Kušej’s recent production for the Netherlands Opera. The reader who has consulted the cast list may well wonder what was going on, though a good few of you will doubtless have heard already. This is ‘Don Giovanni: The Opera’ – as opposed to ‘Don Giovanni: The …’? 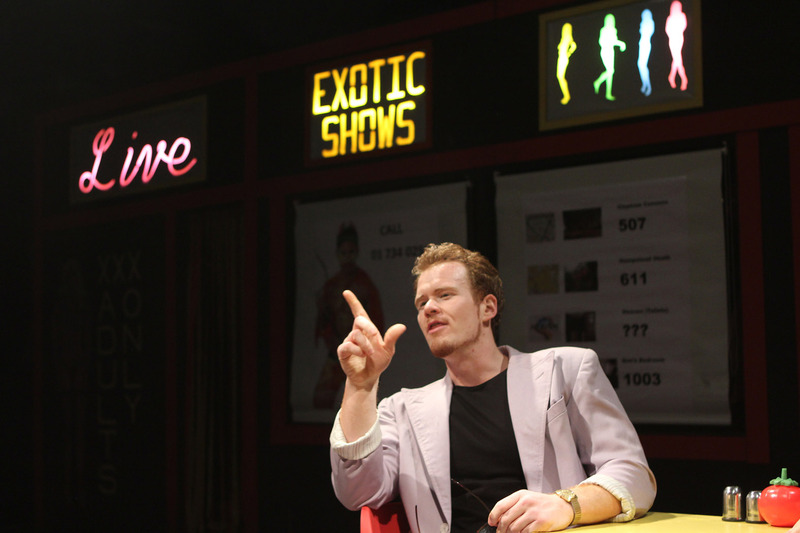 – presented in the gay nightclub, Heaven, by RC Theatre Productions. With the exception of Don himself, a Soho club owner, each of the roles undergoes gender reversal. 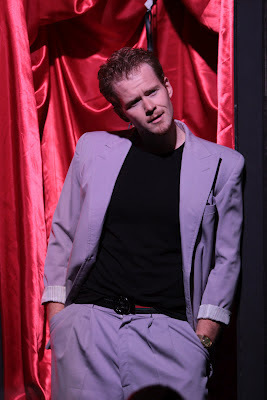 Leporello becomes Leo, Don’s PA. Elvira becomes an older, rather tiresome gay man, Eddie, deluded in his belief that he was ever ‘with’ Don in the first place, yet every bit as captivated as Elvira. 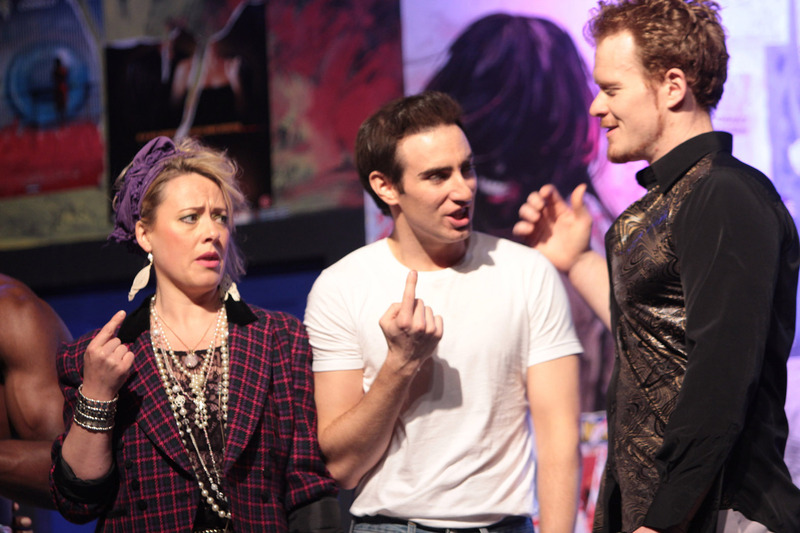 Donna Anna becomes Alan, with Olivia (Don Ottavio) his fag hag accomplice; he has, as many of us suspect with Donna Anna in any case, consented quite willingly to Don’s advances, but wishes to pretend otherwise. Zerlina and Masetto become Zac and Marina, a working-class couple about to marry, but with one of them at least clearly interested in exploring the true nature of his sexual orientation. 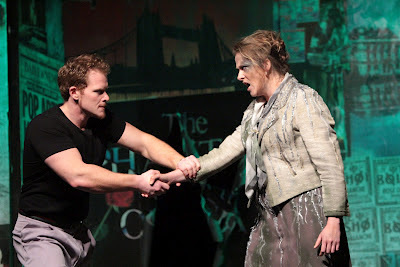 There are a couple of additional cast members, movement director Samantha Hull also appearing on stage (more on that below), and Damola Onadeko appearing in various guises, and with varying degrees of clothing, his muscular torso doubtless appealing alike to denizens of the on-stage club and to much of the audience. (The Wimpy Bar uniform is perhaps of more specialist interest.) 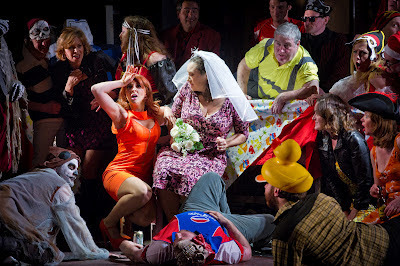 His – Everyman’s – provision of cocaine added fuel to the kinetic energy of production and score, and reminded me in mind of one of the few persuasive stagings of Don Giovanni I have seen, that by Calixto Bieito for ENO. Take the final scene’s presentation of a properly Foucauldian sense of the social construction of madness or indeed disease more generally. (Hell for modernity?) Is a straitjacketed Don insane, stricken by HIV/AIDS, perhaps both? He is certainly held captive by the Hobbesian ideology of Thatcherism. (Those who relate the latter to Locke have more often than not missed the point, or at least part of the point; the strength of the state, the mysterious ‘authorities’ to which Don Ottavio in Da Ponte’s original refers, is crucial to the entire project.) As was recognised by the notorious Section 28 of the 1988 Local Government Act, rendering illegal 'promotion' of homosexuality by local authorities, supported by Michael Howard, a subsequent leader of the Conservative Party, the shop-soiled ideological remnants of Victorian Manchester liberalism needed buttressing by the poujadisme of the right-wing press. (Remember ‘Essex Man’? Was he obliquely deconstructed in the portrayal of Zac?) Libertarianism was never an especially Thatcherite characteristic. Some reviews declared the presence of Margaret Thatcher – I rather relished her obvious doubling in the person of Samantha Hull as a Club Hostess! – a mistake, but in the context of a 1980s treatment of homosexuality and societal oppression more generally, it did not seem entirely unreasonable. I am not sure that an appearance by Dame Jill Knight, Chairman – Conservative women of that ilk preferred the masculine title – of something called the ‘Child and Family Protection Group’ would have garnered much, or indeed, any recognition. More importantly, anyway, we were reminded of how issues of libertinism have, in modern times since the contemporaneous writings of the Marquis de Sade, always proved an abidingly political issue, whatever the attempts to reduce them to ‘morality,’ always closely related to the concerns of Mozart and Da Ponte. Another great strength of the production, in contrast to so many, is its appreciation of societal distinctions. They may not be quite so subtle as those Mozart and Da Ponte craft, and of course they are different: in 1787, a society of orders stood close to revolutionary upheaval, whereas in 1987, class, despite Conservative claims, remained very much an operative concept. The attraction Zac feels towards Don is above all sexual, of course, but that is reinforced, and indeed partly a product, of the glaring contrast between Don’s riches and Zac’s poverty: the night before his wedding, he can only take Marina to a Wimpy Bar (evocatively designed by Cleo Pettit). For all the virtues of its whirlwind drama, even Bieito’s production fell seriously short in ignoring Don Giovanni’s nobility. There are plans to tour this production following its London run. It comes highly recommended; catch it if you can. Vivà la libertà! This concert was the last event in a full weekend of events at the Southbank Centre, entitled, ‘Impossible Brilliance: The Music of Conlon Nancarrow’. It may seem perverse to have attended only a concert without player piano music, but such was what my schedule allowed, and I was keen to hear at least something. Nevertheless, it was a pity to have missed the complete studies for player piano and a London Sinfonietta concert that programmed Nancarrow with Cage, Ligeti, and James Tenney, not to mention the parallel-running conference. Though Nancarrow wrote three string quartets, the second is apparently not only unfinished but also unperformable. If that sounds like a challenge waiting to be surmounted, then we should doubtless bear in mind that the Arditti Quartet is not known for flinching in the face of such challenges. The first quartet is an early work, written just before the composer’s turn away from live performers. I was struck by the tonal characteristics of its harmony, as well as the harbingers of things to come: canon, of course, but also simultaneous use of different tempos. What registered perhaps most strongly, both in terms of work and performance, was the primacy of rhythm, its propelling force of liberation undeniable, though the relative repose of the second movement nurtured a melodic gift to a degree one might almost consider ‘conventional’, were that not so loaded a term. Nancarrow apparently showed the work to the Ardittis at the greatly-missed Almeida Festival in London, and the players, to the composer’s astonishment, sight-read it without obvious difficulty. There was certainly no impression here of anything other than a quartet in the bones of the players. Ligeti’s astonishing second quartet followed, doubtless a tribute to Ligeti’s role in bringing Nancarrow and his music to greater attention, though this 1968 work was written more than a decade before Ligeti encountered the composer’s music (1980). This again is prime Arditti territory. Correspondences between Ligeti and Nancarrow were evident in context, though as Tim Rutherford-Johnson notes in the programme, ‘whilst Nancarrow de-mechanised his music when writing for string quartet, Ligeti sought to mechanise it.’ That said, and whilst one noted the use of canon as an obvious point in common, Ligeti’s music, even when mechanised, above all in ticking third movement, Come uno meccanismo de precisione, sounded wondrously free. Clocks and clouds worked their magic in what must surely rank as one of the greatest successors to Bartók and Webern in the twentieth-century quartet repertoire. This was every bit as fine a performance as that I heard from the Arditti Quartet at the 2009 Edinburgh Festival. Nancarrow’s Third, described by Rutherford-Johnson as ‘possibly Nancarrow’s most significant statement for live performers’, received an equally thrilling performance. There could be no doubt that this was mature Nancarrow, despite the ‘concessions’, for want of a better word, necessary to render it playable. Once again the primacy of rhythm and canonic writing was audible for the most naïve of first-time listeners. Yet, at a certain point, one could hardly fail also to register the use of other, more obvious ‘string-based’ techniques, and more importantly their expressive content: the harmonics of the second movement, for instance. The music hurtles along, threatening to break down, but never once did it do so in performance from the group for which it was written. Finally, we heard Paul Usher’s transcription for string quartet of Nancarrow’s Study no.33. Its irrational tempo ratio (2:√2) renders, so far as any of us can imagine, ‘straight’ transcription impossible, let alone its performance by ‘live’ musicians. Apparently, a decision was made therefore ‘to work towards a “best fit” rather than complete accuracy’. Perhaps purists would say that defeats the purpose; perhaps it does. I can simply report, as anything but a Nancarrow expert, that the result in live performance was exhilarating. If anything, I found myself still more caught up in the progress of the Ardittis’ performance than I had in the Nancarrow quartets themselves. The variety of texture was certainly as striking as that in the co-ordination – and otherwise! – of the third quartet. The unfashionableness of Der Freischütz in England is a little baffling. In its day, not only was the opera celebrated across Germany, it soon conquered other European stages and indeed theatres worldwide. Premiered at the Berlin Schauspielhaus in 1821, by the end of the decade it had already received productions in Danish, Swedish, Czech, Russian, English, French, Hungarian, Polish and Dutch, and by 1850, stagings had been mounted as far afield as Cape Town, Rio de Janeiro, and Sydney. Of course, it is in many ways the quintessential German Romantic opera, though one should always remember how much influence other ‘national’ traditions wield over it, but it is saddening that we, or at least the powers that be, should apparently evince so little interest in this tradition. Oberon was programmed to appear this season at Covent Garden, a mouthwatering prospect, only to be cancelled in favour of yet another run – within the same season! – for La traviata. The only staging of Der Freischütz I have seen in London, or indeed elsewhere, was that by ENO in 1999. Meanwhile, Calixto Bieito has just presented a new production in Berlin for the Komische Oper, a must-see staging by all accounts. Perhaps ENO, with its reinvigorated interest in co-productions will bring it across the Channel at some point; we can but hope. Many thanks, in any case, are due to the LSO for this concert performance. It is not, of course, a work without its problems, first and foremost of which is surely Johann Friedrich Kind’s libretto (even if that seems a masterpiece when compared with the ludicrous effort from James Robinson Planché for Oberon). The dialogue, especially in a concert performance, can present difficulties for a non-German cast, so it is understandable that a decision was made to ditch it in favour of an English narration by Amanda Holden. Whether the latter in any sense marked an improvement remained unclear, to say the least. Malcolm Sinclair’s delivery, whilst clear, was definitely on the ac-tor-ly side, the narration itself prosaic and yet lodged precariously between sanitised fairy-tale – fairy-tales should be anything but sanitised! – and camp. Of the work’s darkness there was little or nothing to be heard. In 1841, sickened and impoverished by the superficiality of Parisian musical culture, the homesick Wagner wrote of a performance: ‘It seems to be the poem of those Bohemian woods themselves, whose dark and solemn aspect permits us at once to grasp how the isolated man would believe himself, if not prey to a dæmonic power of Nature, then at least in eternal submission thereto.’ For a sense of that crucial quality, one had to turn to the music – and indeed, perhaps one always did. Sir Colin Davis has a lengthy history with the work; he recorded it with the Staatskapelle Dresden – Weber’s own orchestra, of course, and Wagner’s too – twenty years ago, and these two performances have been recorded for release on LSO Live. This was not a reading of incendiary drama such as one hears on Carlos Kleiber’s legendary recording, also with the Dresden orchestra, but won over as one can hardly fail to be by that performance, it is easy to forget how unorthodox it is. Take, for instance, the waltz in the first act, preceding Max’s recitative and aria. Kleiber’s tempo is, on the face of it, bizarrely fast, though somehow it works. Furtwängler takes it far more slowly, as did Davis, though his reading sounded closer to the sound and at times implacability one might have expected from a Klemperer Freischütz. (Now there is a thought; he certainly conducted it in his youth; indeed he made his debut at the Prague Deutsches Landestheater with it, in 1907.) These were sturdier peasants; I can imagine some finding the results staid by comparison, but there was actually a subtler vigour at work. The Overture was another case in point, its opening gravely Beethovenian. Despite the difference in tempo and almost everything else, I was somehow put in mind of Coriolan. An unfortunate split horn note was heard upon the horns entry, but thereafter, throughout the work, the LSO’s horns were on excellent form, just as required in this of all operas. 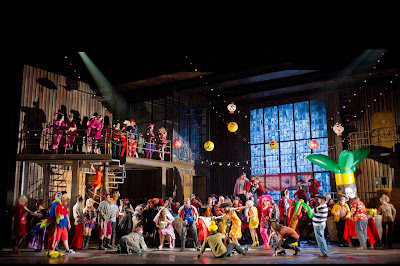 There was a sense of fairy-tale: I thought of Davis’s Hänsel und Gretel for the Royal Opera. But there was also, and increasingly so, Wagnerian gravity to be heard, reminding us that, so many times in this work, Siegfried is but a stone’s throw away. Fafner’s lair takes form in the Wolf’s Glen Scene. And there was no shortage of dramatic drive to the conclusion of the Overture, but Davis and his wonderful orchestra saw no reason to resort to anything hinting at superficial display. Orchestral malevolence was to be heard in spades at the opening of Kaspar’s aria, ‘Schweig! damit dich niemand warnt,’ and a proper storm was cooked up in that celebrated finale to the second act. (Electronic sound effects proved slightly alienating, but what does one do in a concert performance?) If not exactly folksy – and does one really want that? – there was certainly a nice orchestral jauntiness to Ännchen’s ‘Kommt ein schlanker Bursch gegangen’. Whilst a list of notable orchestral solos would doubtless extend to almost every section principal, I feel I cannot fail to mention the superlative contributions of leader, Carmine Lauri, Rebecca Gilliver (cello), Gareth Davies (flute), and of course, the viola obbligato in ‘Einst träumte meiner sel’gen Base’ (it looked like Paul Silverthorne to me, although the programme said otherwise, so I should probably credit Edward Vanderspare too, just in case). The London Symphony Chorus was on predictably fine form too. Its choral weight and attack registering unfailingly from the opening Huntsman’s Chorus onwards. Both the chorus and Davis were keenly aware of the echoes of Haydn’s Die Jahreszeiten – they recorded it relatively recently – a little later on during the first act. Would that one could hear more choral singing of such distinction in the opera house! Simon O’Neill performed a decent, professional task. He can sing the notes – and did. He can sing the words too, but there remains, as I have generally found with this artist, a lurking suspicion that he is not always entirely clear what the words mean. Moreover, the pinched quality of his voice is, despite its heft, becoming increasingly pronounced. It is perhaps easier to take here than in a work on the scale of Die Meistersinger, but one could hardly call it ingratiating. Christine Brewer again certainly has the required vocal heft for the work. Her wobble became unduly pronounced in her second act aria, but sincerity of spirit won through here, and in a lovely third-act cavatina. To start with, I found Sally Matthews’s timbre a little pallid, but was soon won over. There was certainly much to esteem in her clarity of line (not least vis-à-vis certain of her colleagues), and she handled the coloratura not only with ease but with a sure understanding of its dramatic purpose. A distinguished performance indeed! Lars Woldt was a late replacement for Falk Struckmann as Kaspar. He shone in the role, not least on account of his natural ease with his native tongue. I can imagine some might have found his vibrato a little heavy – I did not – but there was, vibrato aside, something impressively resounding to his tonal quality and delivery. The appearance of Stephan Loges as Ottokar – it is pretty much impossible to judge his electronic appearance as Zamiel – made one wish, from its elegance of delivery, that the character had more to sing. Gidon Saks wobbled a bit as the Hermit, but I am not sure that matters too much with respect to that particular role. I should also definitely mention a winning, stylish Killian from Marcus Farnsworth; again, it was difficult not to wish that the role might be expanded. Martin Snell and Lucy Hall rounded off with aplomb a cast of many virtues. 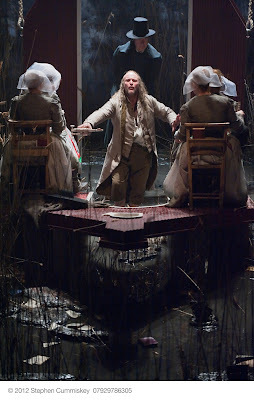 If it is difficult, then, quite to see those Bohemian Woods in the concrete jungle of the Barbican Centre, and the nature of the concert performance made for a less Romantic rendering than one would hope for in the theatre, this performance exhibited many singular qualities. It will certainly be worth hearing on CD. There is nothing routine about Daniel Barenboim’s music-making; it might vary, it might sometimes even disappoint, but predictable it is not. And so, the swift tempo at which he took the first movement of Mozart’s twenty-second piano concerto surprised and yet convinced, drawing out, albeit without undue exaggeration, the martial tendencies in Mozart’s writing. Not that this was a harsh account, delectable woodwind from the opening tutti onwards ensuring that, yet it was noticeable that the piano entry was less melting, more forthright, than one might have expected from either of Barenboim’s recordings of the work. This was perhaps a more Beethovenian approach than would generally be the case, but also an approach with fire in its belly, echoing Furtwängler’s way with Mozart. There was occasional heavy-handedness, and some passage-work was skated over. However, the necessary structural dynamism was conveyed, never more so than in the lead in to the recapitulation, kettledrums pointing the way. Barenboim played his own cadenza, with splendidly free Romanticism. The slow movement opened in darkly Romantic fashion, as veiled as the priestly passages of The Magic Flute. Above all, it sang. Harmoniemusik and the interplay between minor and major modes were as well handled as one would expect from a conductor experienced and successful in Mozart’s operas. (Oddly, Barenboim has never conducted The Magic Flute.) Occasionally, I wished for a little more relaxation, for this was again, perhaps surprisingly, a tempo at which even the ‘authenticke’ brigade could hardly cavil (though that of course does not mean that its regiments would not), but it was sustained with conviction. And all the while, Mozart’s harmony and Barenboim’s understanding of its ways reminded us just how close to Schoenberg we stand. Infallible in execution this was not, and in Mozart one cannot fail to notice such things, but Barenboim’s performance was possessed of something more important, and far rarer, Mozartian spirit. As in the first movement, the hunting finale sometimes experienced a little heavy-handedness, but it went for relatively little; we were well compensated by a properly goal-oriented journey through Mozart’s garden of delights. Harmonic rhythm is at least as crucial to success here as it is in Bruckner; Barenboim undoubtedly understands that. The central Andantino section was ravishingly beautiful, whether from the piano or the Staatskapelle Berlin’s woodwind. Quite rightly, it looked forward to Così fan tutte. Barenboim’s ornamentation was properly vocal in manner too. As he has often done, he used his own abridgement of Edwin Fischer’s cadenza, the transition at its end a thing of rare beauty. The sense of return at the concerto’s conclusion was impressive, fulfilling, indeed. I was a little puzzled by the opening to the first movement of Bruckner’s Ninth Symphony. Though the strings proved wonderfully atmospheric, alla Beethoven’s Ninth and/or Furtwängler’s Beethoven and Bruckner, there was a curious lack of mystery to prosaic brass. However, very soon, that was forgotten in an extraordinary build-up of apparently fragmentary material into that first, awe-inspiring great statement. Now, it became clear, this was to be modernist Bruckner, poised at the very least on the threshold of the twentieth century. The second theme’s contrasting lyricism, when it came, had something intriguingly false about its attempts toward reconciliation. Adorno would surely have approved – and Boulez, I think, too. But that was not all, for a Wagnerian musico-dramatic sensibility was also thrown into the mix; if that sounds haphazard, I apologise, for the fusion or dialectic worked, and that dialectic was to be the story of this movement, a riveting story too. Schubertian ghosts: did I mention them? Well, I have now, and not only did they haunt the feast; they danced at it. The defiance of the coda certainly echoed Furtwängler, albeit strangely foreshortened. Was that a deliberate (modernist?) strategy? I was unsure, but found myself asking whether Romantic gestures had somehow lost their purchase, whether in work or performance. Or perhaps it was a matter of saving the truer defiance for the scherzo, precariously poised between mechanistic (prophetic?) horror and an attempt to look back towards vanished – if ever it existed – rusticity. If at times, it were untidy, the sense of struggle remained, as did the equally crucial sense of strangeness. The finale’s first bars showed Barenboim alert not only to kinship with Wagner, which goes considerably beyond the Dresden Amen, but also to relatively rare premonitions of Mahler, and late Mahler at that. Parsifal is of course held in common here. Again, however, there was more to it: a contest between opposing forces, whether Wagnerian musico-dramatic tendencies and Brucknerian architectonics, or harmonic motion and harmonic disintegration. Something akin to Furtwängler’s mysticism – whether that he found in Bruckner, or that Menuhin found in Furtwängler – was potentially something of a unifying force, but perhaps not quite enough, and if I have a criticism, it is that Barenboim might have attempted more, even if doomed to failure. However, if the outcome of the various battles was uncertain, is that not perhaps how it should be? Lulled we found ourselves at the close, but lulled into what? One sensed the truth of Schoenberg’s observation that Beethoven, Bruckner and Mahler had not been permitted to write tenth symphonies, because they would have revealed more of the ultimate truth than it was given to man to know. This was probing heroism, far from perfect, but then that lies in the very nature of heroism. Rihm is, of course, a major figure in contemporary opera, though I have only seen one work of his staged previously, Das Gehege in Munich. 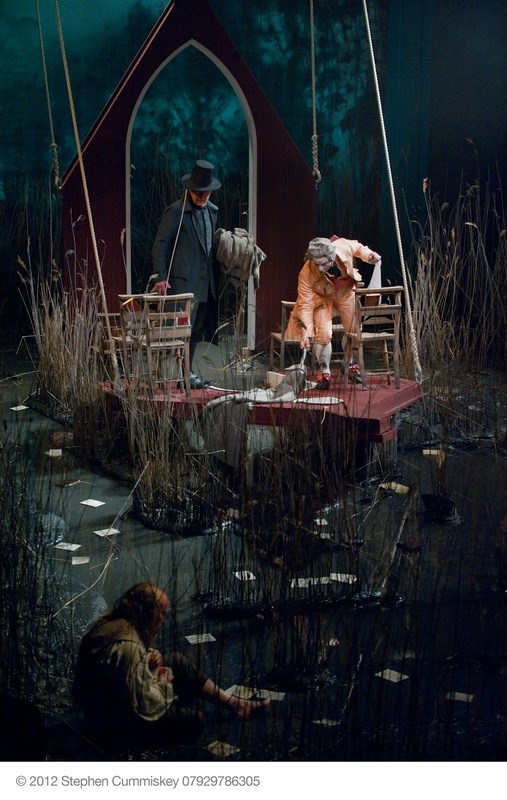 Jakob Lenz, his second opera, was first staged in Hamburg in 1979, following quickly upon a Mannheim staging for his first opera, Faust und Yorick, in 1977. Set to a libretto by Michael Fröhling, based of course upon Büchner’s novella, it treats with the troubled poet’s visit to the Vosges in 1778. Arriving at the house of Pastor Oberlin, Lenz suffers hallucinations relating to Friederike Brion, whom Goethe has abandoned but who is still in love with him. (Friederike is here played on stage, but she has no lines.) Christoph Kaufmann, friend of Lenz and a poet himself, tries unsuccessfully to persuade Lenz to return to his family. Lenz discovers the body of a dead Friederike, not Brion, but a girl from a neighbouring village, though he thinks them one and the same; he tries – and fails – to resurrect her. As his condition deteriorates, Oberlin and Kaufmann abandon him. There is certainly a great deal of expressionist Angst to be heard in the score, itself constructed in rondo-like fashion, thirteen scenes interspersed with interludes over the course of roughly an hour-and-a-quarter. 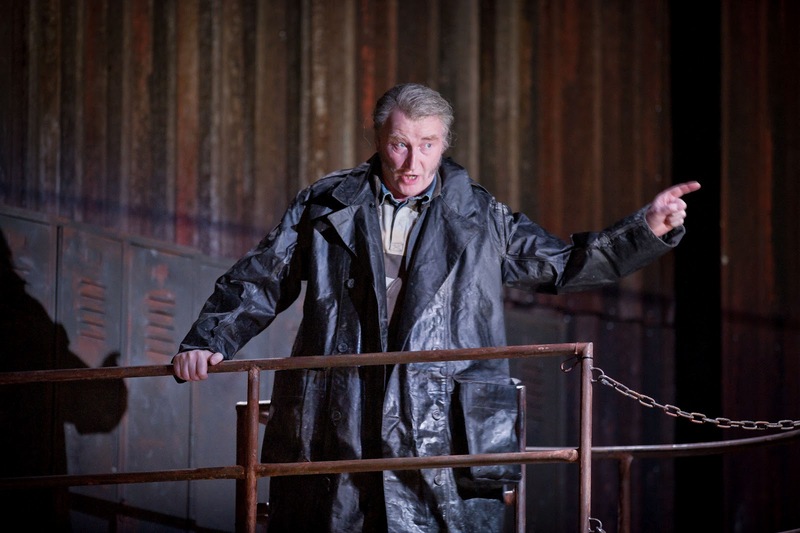 Wozzeck is perhaps too obvious a presence, whether in subject matter or design; it cannot be said that the comparison does many favours to Rihm. For whilst there is a great deal of virtuosity to his writing for eleven orchestral players (three cellos, two oboes, clarinet, bassoon, trumpet, trombone, percussion, and harpsichord), and a number of effects work well on their own terms, not least Lenz’s ‘Voices’, it remains difficult, as I have often found in Rihm’s work, to discern much of an individual compositional voice. Other influences surely include Henze and, increasingly apparent, Peter Maxwell Davies’s Eight Songs for a Mad King (perhaps more apparent on account of the performance taking place in English). I even wondered whether there was a good dose of Britten thrown in for good measure, though that may have been coincidence rather than influence. Parody, though less extreme than that of Maxwell Davies, is apparent in the treatment of chorales for the church congregation. It is all theatrically effective in its way, not something to be taken for granted, but insofar as I was moved, it was more on account of the strength of the performances rather than the work itself. Moreover, there is less of a descent into madness than one might have expected; the poet’s state is parlous all along, without very much in the way of development. If I say, then, that I am unsure why the work is a chamber opera rather than a music theatre piece, I do not mean that as a criticism of the staging it here received, more as a comment upon Jakob Lenz itself. Sam Brown’s production is perhaps surprisingly ‘traditional’, set when and where the libretto prescribes, ably designed by Annemarie Woods. Sub-Friedrich images, a church, and above all the water in which Lenz tries to drown himself – obvious shades of Alberich and the Rhine for Andrew Shore – heighten the Gothic effect. There is certainly something creepy about prettified children, parishioners, and their bonnets. Brown in the programme says that ‘Büchner is so specific to certain weeks in 1778 that it seemed perverse to try and change it.’ Perhaps, though we are not dealing directly with Büchner. Even so, I could not help but think that a little more abstraction might have added to a sense of contemporary interest; it is not clear to me that the opera is in any sense ‘about’ the eighteenth century, nor indeed ‘about’ Alsace. That may all, however, just be a matter of my taste, rather than anything fundamental. Shore’s Lenz was a powerful portrayal, occasional spread at the top of the range more than compensated for by dramatic truth. He held the stage throughout, and rightly received warm applause. 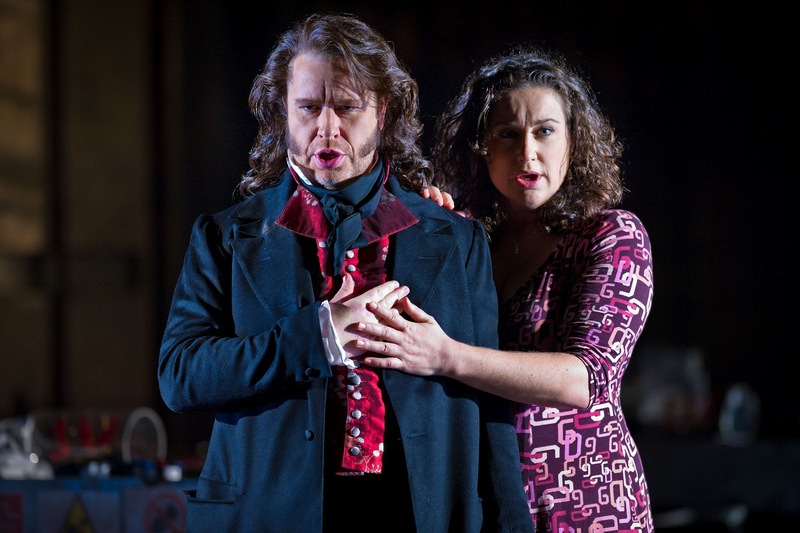 Jonathan Best ably evoked a concerned if ultimately impotent Oberlin, whilst Richard Roberts, if a little hamstrung by the bizarrely caricatured foppery of Kaufmann, impressed vocally too. The Voices – two sopranos, two mezzos, two basses – haunted and disoriented, though the children’s intonation was at times problematical. Alexander Ingram led an incisive account, with Members of the ENO Orchestra on splendid form. The Hampstead Theatre acoustic is perhaps not ideal, but then one can say that of many venues. 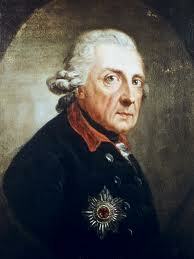 As many readers will doubtless be aware, Frederick II of Prussia turned 300 this year. I was asked to write a piece on his relationship to opera for OPERA magazine. The article appeared in its 'Festivals' edition and is reproduced below. 24 January 2012 marked the three-hundredth birthday of Frederick II, ‘the Great’, Elector of Brandenburg and King in and, from 1772, of Prussia. Those amongst us who are sticklers for detail like to correct those employing the wrong preposition: not merely out of dry pedantry, but because, as with the ‘und’ of Tristan und Isolde, there will often prove to be a wealth of meaning in but a single, small word. The Holy Roman Emperor, Leopold I , had acknowledged the coronation of Elector Frederick III as Frederick I, King in Prussia (Rex in Borussia), in return for support during the War of the Spanish Succession, but only because the erstwhile Duchy of Prussia, as opposed to Brandenburg, lay without the Empire – and also, falsely, as it would turn out, reassuring the Poles as to claims upon their territory. (Various other formulations had been considered, the most outlandish being ‘King of the Vandals,’ perhaps not the most promising title for an æsthete such as Frederick the Great to inherit.) It would be thirty-two years after his accession, following the First Partition of Poland, before Frederick II would alter the preposition. Why, the reader might ask, is that of any relevance to an article concerning Frederick the Great and opera? Apart from the not entirely insignificant matter of bestowing the correct title, it reminds us of the monarch’s complicated relationship with German culture, for all the admiration felt for ‘der alte Fritz’ by later nationalists. Frederick’s statue may stand proudly on Berlin’s Unter den Linden, close to the opera house he commissioned shortly after succeeding to the throne; yet not only should he be considered more Prussian than German, he remained for the most part aloof from the rise in cultural German nationalism that characterised the eighteenth century just as well as the nineteenth. For though, in the same year that Frederick adopted the second of his regal prepositions, his fellow Prussian Johann Gottfried Herder wrote his Treatise on the Origin of Language, a landmark for the history of cultural nationalism in general and German nationalism in particular, Frederick continued not only to write in French, but to disparage the German language. It was, he wrote in his 1780 De la littérature allemande, a semi-barbaric language (‘à demi-barbare’). His model rather was the French of Voltaire, just as his model for courtly life had been that of Versailles (minus the women). Indeed, in 1775 – as Tim Blanning has pointed out, only one year before the publication of The Sorrows of Young Werther – Frederick wrote to Voltaire that Germany’s level of cultural attainment lagged about two-and-a-half centuries behind that of France. German opera was even worse than that German literature, the Shakespeare-admiring Goethe included (Götz von Berlichingen an ‘abominable imitation’ of the Englishman), disdained by our Classically-inclined monarch. He declared that he would rather listen to the neighing of his horse than to a German soprano, though the example in the 1770s of Gertrud Elisabeth Mara seems somewhat to have softened his attitude. If so many of his intellectual influences – which is not necessarily to say his militaristic practice as a ruler – were to be found in the French Enlightenment, the King looked to Italy in matters operatic, a prejudice, be it noted, as common amongst singers as amongst singers. Gottlob Stephanie, libretto reviser for Die Entführung, and who had himself been conscripted into Frederick’s army during the Seven Years’ War, would bewail even in 1792, in a preface to his collected Singspiel texts, that not only were there too few original German operas but that singers were far readier to sing texts written in the Romance (‘welsch’, a word featuring in Hans Sachs’s Meistersinger peroration) tongues of French and Italian. 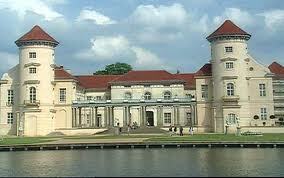 Siegfried Matthus, himself born in Rheinsberg, sets his eighty-minute chamber opera, Kronprinz Friedrich (1998-9), revived at this year’s Schloss Rheinsberg Festival, during Frederick’s period as heir to the throne. Frederick William would doubtless have been by turn reassured and horrified by the gender implications of presenting him as a baritone and as mezzos both the eighteen-year-old Frederick and his executed flautist friend, Hans Hermann von Katte, attempting to flee grim Prussia for Hanoverian England. Hans Werner Henze’s more celebrated Der Prinz von Homburg – its hero another, earlier Prince Frederick – is not the only twentieth-century opera to deal with high-political conflict between love and duty in Brandenburg-Prussia. In 1744, Frederick granted the palace to his brother, Henry, who built an open-air ‘hedge theatre’ (Heckentheater), which provides the setting for this year’s performance. An 1880 guide by Andrew Hamilton, Rheinsberg: Memorials of Frederick the Great and Prince Henry of Prussia, would draw upon a 1778 work by Henry’s Court Surveyor, Karl Wilhelm Hennert, thus: ‘There is the natural Theatre in which everything is hedge-orchestra, pro-scenium, stage, dressing-rooms, all of live hedges of various heights. Hard by that is the Chinese garden, full of pagodas, and mandarins, and apes, and cages of gilt wire holding birds of brilliant plumage.’ In the summer of 2012, then, that eighteenth-century world of opera and chinoiserie will find itself partly brought back to life at Rheinsberg – though the events in question took place in 1730, before Frederick had moved there. Katte, whom Frederick would rarely so much as mention after emerging from a period of grief, will receive a resurrection, or at least reacknowledgement, of sorts. Back, or rather forward, to Berlin, to Frederick’s accession on 31 May 1740. 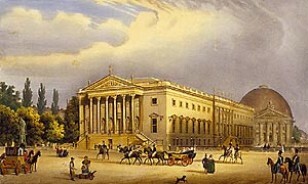 Within two months, and thus a good few months before the invasion of Silesia, often described as his first major political deed, Frederick commissioned Georg Wenzeslaus von Knobelsdorff – who would also design the great summer palace Sanssouci, at Potsdam – to build the Hofoper. 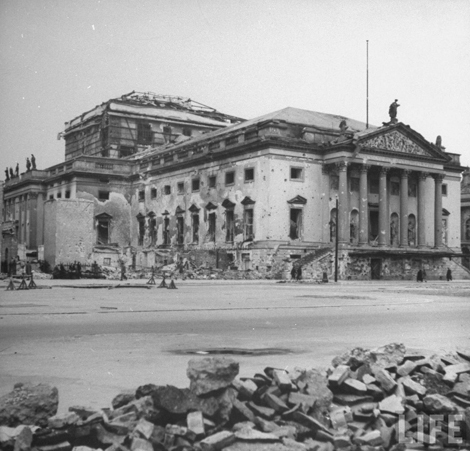 (It is now the Staatsoper Unter den Linden, temporarily in exile at Charlottenburg’s Schillertheater, whilst renovation work is conducted). Kapellmeister Graun was sent to Italy, to offer employment at the Prussian court to Italian singers. Johann Mattheson, composer and critic, arguably the first German musical journalist, lamented from the safety of his position as Kapellmeister to the Duke of Holstein: ‘When will we give up our blind worship of foreigners and learn to judge our own countrymen fairly? !’ Graun’s first trawl, recruited during an eight-month tour, failed to satisfy Frederick, but by 1743, a starry ensemble including notable artists such as the prima donna Giovanna Gasparini, the castrati Felice Salembini and Antonio Uber (Porporino), and the tenor, Antonio Romani, had been engaged. Voltaire and Algarotti assisted, both in the recruitment of singers and in that of Parisian actors and dancers for Frederick’s French theatre and ballet. 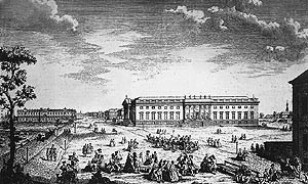 CPE Bach and Quantz joined the orchestra as harpsichordist and flautist, the latter’s salary increasing from 250 thalers in Dresden to 2000 in Berlin. Singers commanded salaries higher than those of cabinet ministers. 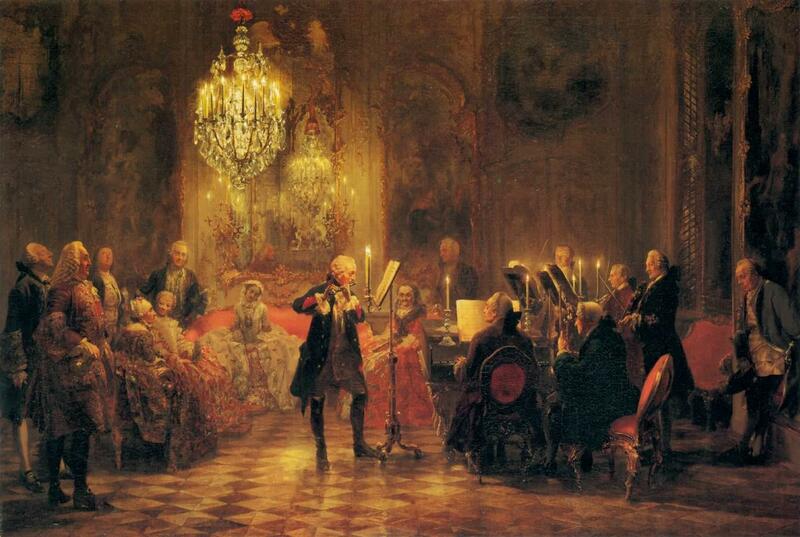 By 1754, some forty instrumentalists alone were in the King’s pay. This was a rather more serious commitment and investment than ‘Cool Britannia’. Moreover, Frederick was of course not only a musical patron, but a librettist and composer himself. Even when not acting as librettist, Frederick took a great interest in the plots set by Graun, who composed almost all of the new works performed in Berlin, often two per season. Moreover, Frederick often suggested the plot outlines in the first instance. He would criticise Graun’s work and have new arias composed to replace those that failed to meet with his approval. Frederick’s œuvre as librettist (in French) includes Silla (1753) and some parts of I fratelli nemici (1756) and Merope (1756, shortly before the Seven Years’ War had the opera closed), translated into Italian by the court poet, Giampietro Tagliazucchi. Another such work was Montezuma, the twenty-fourth (!) of Graun’s Berlin operas, premiered on 6 January 1755, and generally considered to possess the finest of Graun’s libretti. Having been performed in concert by the Staatsoper earlier this year, it will be staged at Sanssouci as part of this year’s Postdam Festival. Frederick himself was involved in the 1755 staging, and it was revived in 1771, though a subsequent performance does not seem to have taken place until that in Saarbrücken (ironically, in German) in 1936. Montezuma, a just sovereign, meets his death at the hands of the conquering, fanatical Cortes, who also lusts after the Aztec leader’s beloved, Euparofice. The Voltairean Frederick had never paid more than lip-service, if that, to Christianity, once even going so far as to declare his willingness to build a mosque in Berlin, should it attract useful citizens. If the Spaniards considered the indigenous inhabitants of Mexico barbarians, their avaricious, murderous conduct suggested that Christian ‘civilisation’ might well prove a misnomer. It was, as Frederick well knew, a classic Enlightenment – and specifically French Enlightenment – tactic to evade the censor by implicit criticism: Montesquieu’s Lettres persanes and Voltaire’s Lettres anglaises both provided shining examples of works which, through lavish praise of other societies, be they Persian or on the other side of La Manche, cast doubt upon the achievements of their own. If the librettist were the King, of course, criticism might no longer have any need to remain implicit. What Frederick and many other Enlightenment writers certainly held in common was the appreciation, in the wake of the Voyages of Discovery, that other, non-European civilisations had survived and indeed prospered in (blissful?) ignorance of the Christian faith. Interest in China – even at the level of Rheinsberg’s chinoiserie – was not entirely unconnected with that ideological impetus. Whilst the critical jury, even on those occasions when it cares to assemble in the first place, seems still to be out on Graun’s compositions – Charles Burney was an early detractor, accusing Graun of old-fashioned writing and a lack of originality – we can certainly say that they offer, from our musico-historical perspective, a number of ‘forward-looking’ aspects. Da capo arias are often replaced with two-section cavatinas – in Montezuma and a number of other cases, it seems, expressly at Frederick’s command. Moreover, ensembles prove sometimes to further the action in a fashion that might tempt us to think of Mozart. Christoph Henzel implicitly counsels against such an interpretation, when he points out that ‘the aim was to find a structure – one with short, concise scenes and as much lyrical music (and as little recitative) as possible – that would stress the visual rather than the psychological impact of the drama for an audience with scant knowledge of Italian language and literature.’ We might nevertheless, if so inclined, respond that motivation and influence may differ. Gluck was certainly not the sole influence on Mozart’s operatic developments, and Algarotti’s influential Essay specifically cited Montezuma as a model work in which the requirements of singers were subordinated to a properly coherent poetic idea. By the end of the Seven Years War in 1763, it is probably fair to say that the King’s musical interests had become set in stone. Whereas many other German states showed themselves supportive of new musical developments – the courts in Mannheim, Munich, and of course Vienna are but a few celebrated instances – Frederick remained loyal to Hasse and Graun. Though Emanuel Bach was employed as harpsichordist, the King evinced little or no interest in his music, whilst Haydn’s music was dismissed as ‘a shindy that flays the ears’. 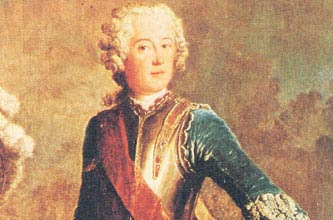 Whereas the new Holy Roman Emperor, Joseph II, vigorously supported the promotion of German culture, even at the cost of outright revolt in his non-German lands, Frederick’s tastes had barely changed, if at all, since his time at Rheinsberg. Friedrich Gottlob Klopstock, purveyor of patriotic odes, complained, ‘The Emperor loves his fatherland – but Frederick does not!’ Whatever the truths concerning Joseph’s treatment of Mozart, and the record is far more mixed than many allow, it seems that the Prussian King had never even heard of him. Moreover, Frederick’s interest in music tout court, as E. Eugene Helm noted in his study, Music at the Court of Frederick the Great, waned in tandem with the deterioration of his flute technique and thus his activity as a performer. The music-lover, then, will be more likely to speak of the King in Prussia. Having spent some of today wondering whether I had been a little harsh on last night’s performance of Bruckner’s Seventh Symphony from the Staatskapelle Berlin and Daniel Barenboim, I am delighted to report that this performance of the Eighth represented a thoroughgoing success. (It also tends to confirm me in my belief that the shortcomings, though certainly not grievous, of the earlier performance were worth noticing and reporting.) It was a definite advantage now to be sitting in the Front Stalls, my previous position at the back of the Rear Stalls undoubtedly having dulled the orchestral sound, though by the same token, the standard of execution from the Staatskapelle Berlin was now less variable. For the sound Barenboim extracted from his orchestra emerged both more ‘settled’ and simply – in reality, of course, there is nothing simple about this – more consistently ‘right’. I was immediately taken at the opening of the first movement by the translucency of the strings in particular, that quality putting me in mind of the truly great recording of this work made by the Vienna Philharmonic Orchestra under Boulez. (That was the performance that first made the symphony ‘work’ for me, enabling a return to Karajan, Giulini, et al., before turning to more ‘historical’ recordings.) The orchestra managed somehow to balance that translucency with due weight – if that makes any sense at all! It was certainly not ‘heavy’ in a stereotypically ‘old school’ sense, but nor was there any nonsense about thinning of textures and so on. (Brucknerians may regret the ambivalence of many listeners to some at least of the composer’s music, but they should think themselves lucky that they have suffered less from puritanical, ‘authenticke’ practices than most other nineteenth-, let alone eighteenth-century masters, Roger Norrington notwithstanding.) Heart-stopping solos from French horn and oboe enabled Bruckner for once genuinely look forward to Mahler, perhaps even – and please forgive me should this offend, for it is certainly not intended to do so – to Strauss’s Alpine Symphony. At any rate, there was a sense of wondrous vistas opening up, in a fashion I tend to associate more with Mahler and, in that particular case, Strauss. The brass section was on uniformly better form than it had been for the Seventh (though I still treasure the memory of the Wagner tubas in the slow movement of that work.) There was, as this movement progressed, a sense of the apocalyptic that I had missed on that occasion too – partly, I think, a matter of surer control on Barenboim’s part, for not once did he seem to waver. Such command, especially in terms of of harmonic rhythm, was greatly in evidence in the scherzo, adding considerably to dramatic tension. The warm tone of the Staatskapelle’s cellos at the opening is worthy of especial mention, likewise the ‘natural’ – I know, a loaded word – impression of changing organ registration. There was, though, a slight sense of disappointment in the way that the scherzo, first time around, rather fizzled out; this was more or less the only occasion on which the orchestra sounded tired, failing to further that apocalyptic tendency I referred to above. There was some beautifully detailed playing in the trio, not least from the harps; silences were given their proper due, save for the intervention of a mobile telephone. The opening of the slow movement benefited from violin tone that was rich and yet veiled: mysterious, even in a theological sense. Barenboim and the orchestra revelled – and how or why could one not? – in the Wagnerian harmonies, always shaped with conviction, neither rushed nor indulged. If I had missed that sense of the apocalyptic in the scherzo, it was present at the opening of the finale: strings, brass, and of course kettledrums. Barenboim demonstrated the difference between drive and the merely hard-driven, his structural and dramatic command clear throughout. Occasionally I wished for something still more ‘dramatically’ conceived, but this apparently more ‘objective’ approach – and I am talking about matters of degree here – was undoubtedly successful on its own terms. Anything to grumble about, then? The programme note, I am afraid, left more than a little to be desired. One does not necessarily expect full treatment of analytical controversies, though in the case of Bruckner there is a greater case for such discussion than with almost any other composer. Nevertheless, to read, ‘The central trio section [of the scherzo] embraces some of the most inspired music Bruckner ever pinned,’ without further comment on that music, does not suffice. Moreover, phrases such as ‘thoroughly authentic’ ought long since to have been consigned to the dustbin of history. The musical performance, however, exhibited a conviction that rendered such thoughts unnecessary. Purists may have cavilled at Barenboim's use of the Haas edition, but Barenboim, like Boulez and many others before him, made the case for it as the most convincing option for this symphony.